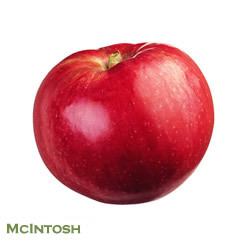 Characteristics: Medium size, nearly solid bright red. High quality for eating. Rich flavor, but soft when cooked. Use: Fresh eating, pie, sauce, baking.